In-ceiling LCR speakers directs all the sound at a 15-degree angle toward the listening area using positional tweeters. In-ceiling LCR speakers are mounted in a frame and installed into the ceiling. It uses the ceiling cavity as a large cabinet, which gives more bass than you might get from a stand-alone speaker of the same size. 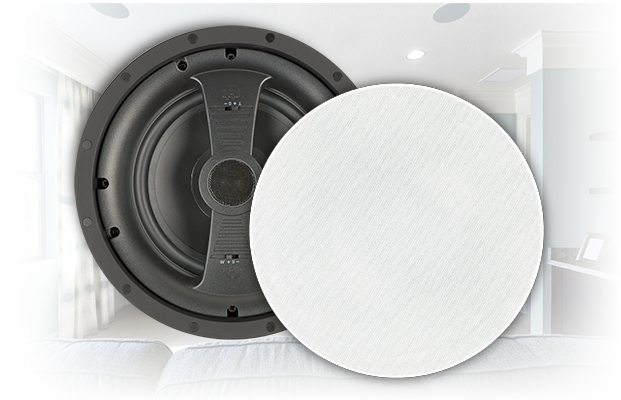 Almost all in-ceiling speakers have paintable frames and grilles, so you can camouflage them in your walls or ceiling. Browse through our series of in-ceiling LCR speakers listed below.